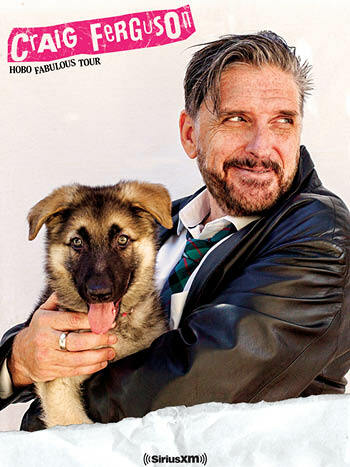 Craig Ferguson entered the world of late night comedy following a diverse and eclectic career that encompasses film, television and the stage. In December 2014, Ferguson concluded his ten-year run as the host of CBS’s The Late Late Show with Craig Ferguson, which set all-time viewer records, earned him a Primetime Emmy nomination and the 2009 Peabody Award for Excellence in Broadcasting for his interview with Archbishop Desmond Tutu. As the host of Celebrity Name Game, Ferguson was awarded the Daytime Emmy for Outstanding Game Show Host two years in a row. This year he was nominated for a third Daytime Emmy Award. As of February 2017, Craig launched his new SiriusXM program The Craig Ferguson Show which is broadcast live on Comedy Greats every evening.